*Payment plans of $335 per quarter will be available to students accepted into this program. Putting the Pen to the Page is an opportunity for writers to study the craft of creative writing, share and workshop portions of their novel manuscript, provide and receive constructive criticism, and work with a published author at an MFA-level of instruction as they write their way through the generative process of drafting their novel manuscript. Writing prompts and reading assignments will serve as a source of inspiration and motivation, and a number of visiting authors will be invited to speak to the students throughout the course. This yearlong intensive program will offer support and structure by helping students establish goals and writing habits while working to meet monthly deadlines. Work in any genre is accepted, and writers of all levels are welcome to apply. Whether you have already made substantial headway on your novel or are just beginning to gather ideas, your classroom community will provide the structure, companionship, feedback and emotional support to help you complete the first draft of your novel in one academic year. This generative writing class is designed to help students complete the first draft of their novel manuscripts during the course of the traditional nine-month academic calendar, September 2018 through May 2019. We will meet twice a month for the first three months (September, October, and November) and once a month for the remainder of the course, skipping the month of December. In addition to these eleven meetings, you will receive reading and writing assignments and prompts via email during the weeks we do not meet, and the class will conclude with a public reading hosted by WriterHouse. Each student will also receive a 45-minute one-on-one conference with the instructor to discuss their projects and help establish their goals as they move out of the classroom environment and into the revision process for their novel manuscripts. The first three months of class will be craft focused and will include short lectures by the instructor; we will discuss the primary elements of creative writing and read published excerpts and craft essays. Each meeting will also include generative in-class writing time to help students begin exploring their story and getting to know their characters. Beginning in January 2019, the remainder of our meetings will be an MFA-level writing workshop focused on providing constructive criticism for each author. Students will submit their work to the group twice and will receive a detailed feedback letter from the instructor outlining the strengths of the piece submitted and commenting on opportunities for growth and improvement during revision. In turn, students will provide typed comments for each submission shared. Additionally, each month students will submit a one-page “process letter” to the instructor sharing information about their goals and progress, struggles and triumphs, for that month. All classes will be held on Tuesday evenings, and the first class will meet on September 11th. Meeting sessions are three hours long. Any required texts will be announced soon. **Class Dates: 9/11/18, 9/25/18, 10/9/18, 10/23/18, 11/6/18, 11/27/18, 1/15/19, 2/12/19, 3/12/19, 4/9/19, 5/7/19, 5/21/19 (graduation/public reading). Please submit a 10-page writing sample. The sample can be a short story or novel excerpt. $100 nonrefundable deposit. Deposits will be applied to the cost of tuition for students who are accepted to this program. This class is limited to ten students. Acceptance letters will be emailed to students by 8/20/18. Upon acceptance, the remaining balance of the tuition will be due. Payment plans will be available for students accepted in this program; the first payment will be due on 9/4/18. Please note, this program is for novelists who are prepared to make a strong commitment to their work; students will be expected to participate in the entire year-long program. Kristen-Paige Madonia is the author of the young adult novels INVISIBLE FAULT LINES (2016) and FINGERPRINTS OF YOU (2012), both published by Simon & Schuster Books for Young Readers. Hailed by Judy Blume as “A remarkable young novelist,” Madonia was the 2012 D. H. Lawrence Fellow, and her short fiction has appeared in such publications as the Greensboro Review, Five Chapters, the New Orleans Review, and American Fiction. She has received fellowships from the Sewanee Writers’ Conference, the Hambidge Center, the Vermont Studio Center, Juniper Summer Writing Institute, Virginia Center for Creative Arts, Hedgebrook Writers’ Retreat, Millay Colony for the Arts, and the Studios of Key West. 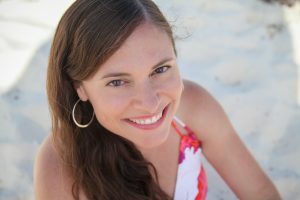 She was the 2010 recipient of the Tennessee Williams/New Orleans Literary Festival award and was granted the Marianne Russo Fellowship to attend the 2008 Key West Literary Seminar. She holds an MFA from California State University, Long Beach and teaches creative writing at James Madison University, Goochland County High School, and WriterHouse. She lives in Charlottesville, VA and is a Faculty Mentor with the University of Nebraska’s low-residency MFA in Writing Program.